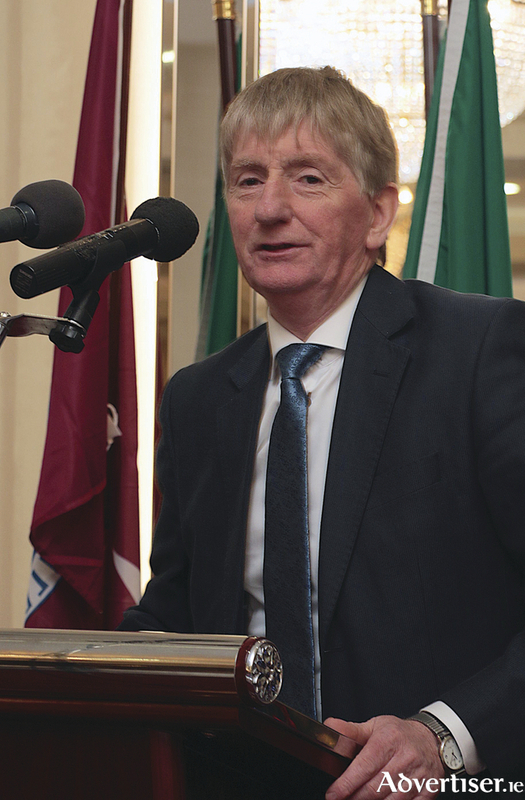 Pat Kearney, elected chairman of Galway GAA. Pat Kearney will succeed Noel Treacy as Galway county board chairman for 2017 after emerging victorious by one vote - 127 to 126 - in a nail-biting contest with Oughterard's Kevin Clancy last Monday night at the county board convention. Kearney, a Kilbeacanty man, made a passionate speech after his election and spoke about the genuine challenges that lie ahead for Galway GAA. "There are challenges in all walks of life and there are challenges ahead for both hurling and football in the county and they will need to be addressed," he said. "There are imbalances in both the hurling and football structures at national level. We will have to look at that. We have already set up a meeting with Padraig Duffy [director general of the GAA] in January to discuss the situation with the hurlers and the Leinster championship, and his new proposals for the football championship could have a big impact on our club games too." The Liam Mellows motion, which was carried overwhelmingly, was endorsed by all 253 delegates calling for Galway’s senior, intermediate, U21 and minor hurling teams to compete in a single provincial model, and to approach Munster about their inter-county teams taking part in the Munster championships from 2018. Kearney said this had been something bubbling under the surface for the past few years which needed to be addressed. "We will be fully supporting the Liam Mellows motion and we will be moving on with that," he said. "This has been discussed at length for the last six months. Starting at hurling committee level, and on to county committee level, and now on to convention and that is how these things go. We need to have a level playing field for Galway hurling and that is what we hope to achieve. First up is the meeting with Padraig Duffy and we will take it from there." Kearney, however, said the county board's financial situation could be better. The income for year ending, October 31 came in at €3.4m, with Galway GAA recording an operating surplus of €79,421. The cost of running the various county teams rose to €1,362,093, an increase of €117,000 on the 2015 figure. Some €486,415 was spent on the senior footballers, while senior hurling expenses totalled €426,397. "Everybody is in debt at times, but we have to get on with it. If we could cut our expenditure by 10 per cent, and increase our income by 10 per cent, it would make a big difference. "That said, our inter-county teams at all levels have to be prepared properly and next year we want to see both our senior teams go up to division one, which would be a great start. That is our aim in the short-term. They need the top standards in what they are doing and that is what they will get." With annual loan repayments on the derelict Mountain South site and other grounds totalling €270,927, some delegates queried whether the board would be able to meet these repayments when the annual loan repayment on Mountain South jumped to €324,000 in 2018. Treasurer John McGann said there were plans, in conjunction with a local company, to stage a concert in Pearse Stadium with a “big American artist” which would bring money into the county coffers.